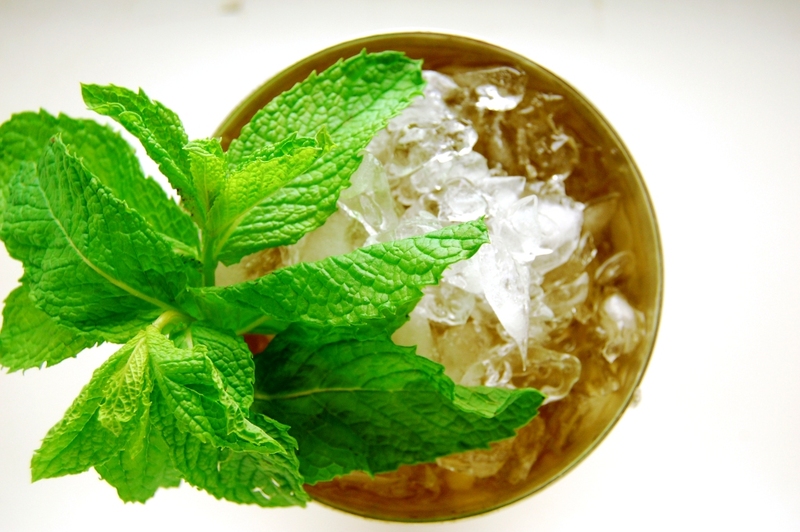 Platitude-y as it sounds, the only secret ingredients in the World's Greatest Mint Julep are care and time. There is no rare species of mint to hunt down and you can use pretty much any brand of bourbon you want. Most everyone (myself included) uses Maker's Mark. Woodford Reserve is widely considered to be an appropriate top-shelf upgrade, but that's mostly marketing hype (Woodford being the "official" bourbon of the Kentucky Derby). 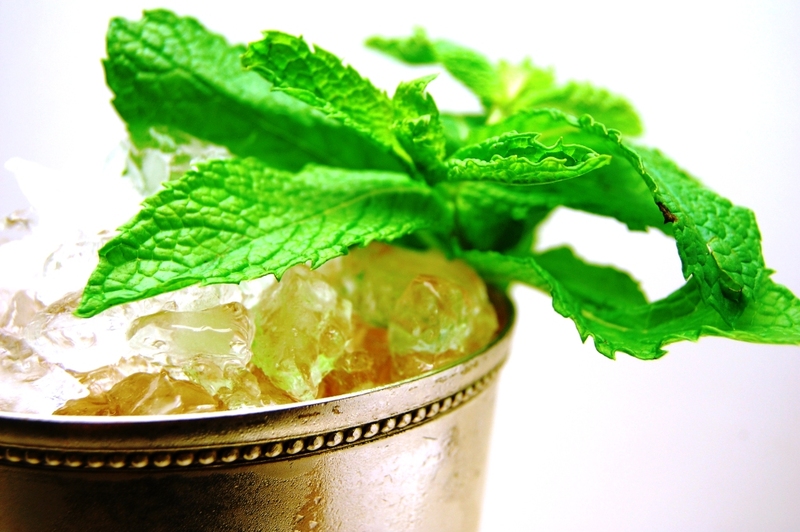 A julep's mint and sugar bludgeon subtlety right out of any whiskey. This is not a bad thing. It is, in fact, a most yummy bludgeoning. I muddle for longer than is comfortable and I listen all the while for that telltale crunch of the leaves' veins submitting to me. The reason I first covered the leaves with syrup is, once you start smashing those leaves, they start releasing oils and aromatics, and if the leaves were uncovered and dry, all of that would just escape into the air. The syrup keeps those flavoring agents in the bottom of the glass where they belong. Once I'm satisfied, I dump into the cup as much finely crushed ice as it can hold -- really, more than it can hold, in that I add a little mound at the top. I pour in two ounces of bourbon, which settles that mound down to lip-of-the-cup height, probably more. I take a stirrer but I don't stir; I kind of make little, quick, downward stabbing motions. Stirring might unmoor some of the ice chips from the general mass, and I find that floating ice chips just make a julep look awful. 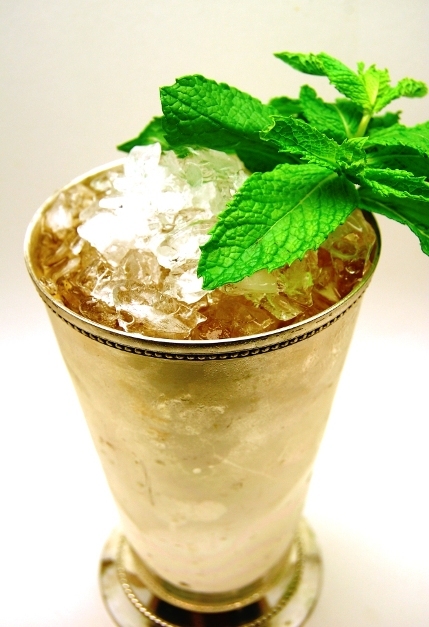 At this point, depending on the size of the julep cup, the whole shebang of ice and bourbon and mint and syrup usually does not reach the top of the glass. So I do the process over again, but in a different order: I add another mound of ice, I pour another shot of bourbon, I stab. Then I taste with a dip of a straw. Here's where an experienced palette helps. What I want to achieve is the perfect balance of mint and whiskey. I want an even fight between sweet and sting, but I don't want it to taste acrimonious, like a fight. I want melody and harmony. The beginning of a mint julep tastes very different from the end, when chances are you're just mainlining minty sugar. Given that, I taste-test my julep from either the top or the middle of the glass; I don't stick my straw all the way down to the bottom to retrieve my sample. If at the top bourbon is beating sugar/mint, that's OK. The drink has every right to be a progression, not a static entity, flavor-wise. That's it. No real recipe needed. Just practice and (bromide alert) TLC.